Accepting a job in a new city, Dan Hill has just moved his wife and four-year-old daughter into an ordinary-looking duplex. The appliances are avocado, the carpet sea-foam green, and there's a fine layer of ash below the surface from the house that used to stand there. "Well that's a funny thing," the Hill's new neighbor tells Dan. "The house caught fire and the oldest boy thought his sister was still inside. He went in to get her, but never made it back out. The rest of the family - the little girl included - all came through with relatively minor stuff: scrapes and bruises, smoke inhalation.... It was just the one boy who died, burned up...14 or 15 years old, I think." He let the story trail off, shaking his head. "Not the sort of thing they like to advertise, is it?" He leaned back into his lounge chair, considering the small border of earth around the patio. "It's here though, if you dig. I put in those cedars last month," he said, pointing at the small line of shrubs. "Digging the holes, I noticed a lot of ash and some burnt slivers of shingling." He took a long sip off his beer. "Makes you think about where you're sleeping, doesn't it?" Awakened by strange sounds in the dead of night, the Hills soon suspect someone is prowling about their new home, vanishing when they switch on the lights. Little things go missing: spoons, hair ribbons, a black bra...bits of food from the refrigerator. Frustrated, Dan sets up a video camera in hopes of capturing the intruder on tape. Less than a week later, his wife and daughter disappear. What he sees turns his blood to ice. 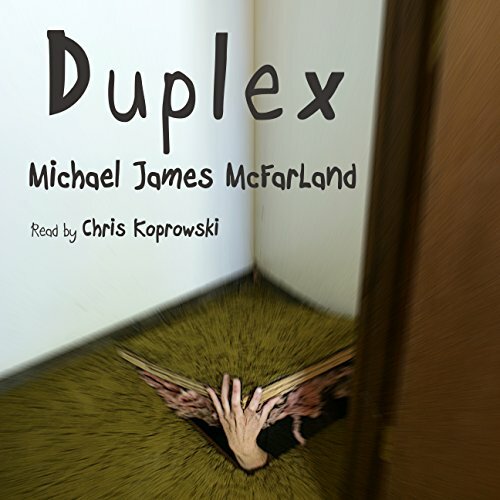 Michael James McFarland peels back layers of the human psyche to expose what happens when our worst fears really do come true. Warning: This novella contains graphic material and is not intended for listeners 17 and under.